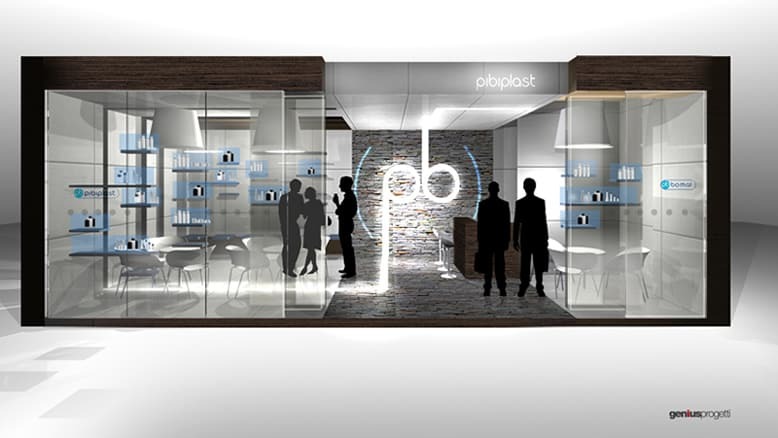 The Pibiplast Group, is an industry leader in cosmetic packaging this is the 2011 COSMOPROF Exhibition Stand. 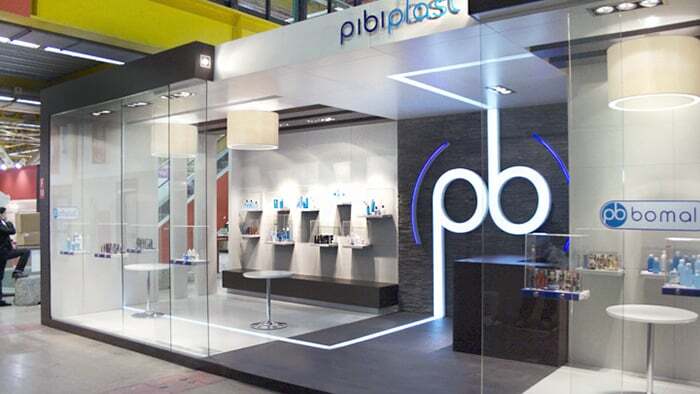 The Pibiplast Group, based in Correggio, Italy is an industry leader in cosmetic packaging with impressive growth since its 2010 transformation. 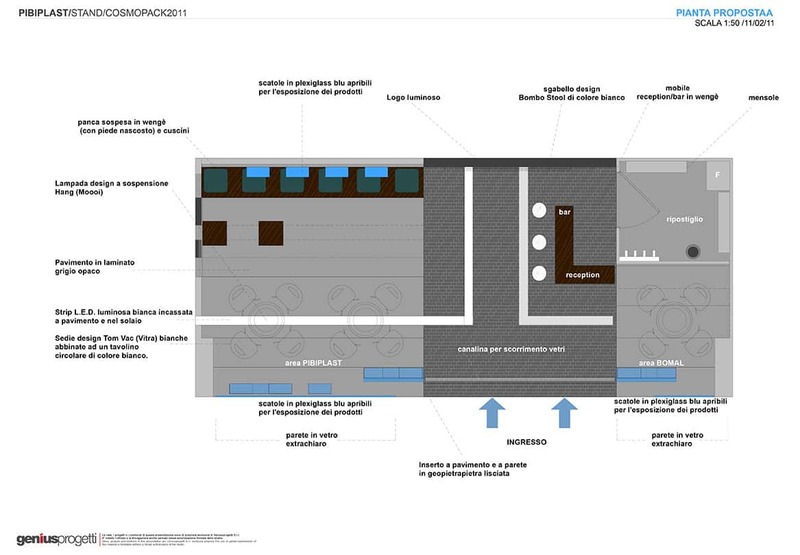 The company is comprised of Pibiplast, Bomal, Pibitubes and Plast Line, four divisions with manufacturing facilities in Robbiate (Lecco), Tortona (Alessandria) and Calenzano (Firenze) which meet their production and assembly needs having grown their business to over 24 million euros. 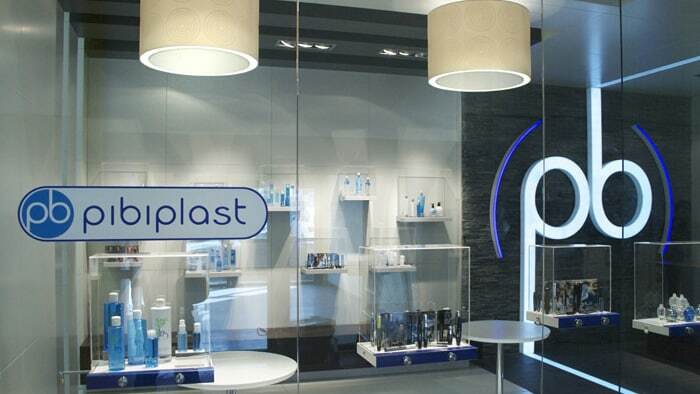 Pibiplast SpA was founded in 1954i as a mould-making workshop for the manufacturing of plastic materials, today they are renowned for their exceptional quality packaging and plastic mould injected range. 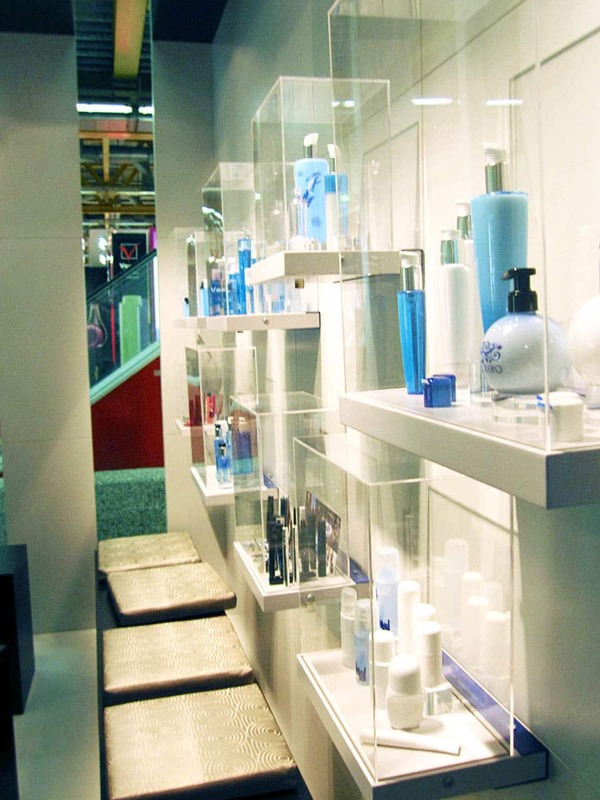 For the last 50 years Cosmoprof Worldwide has been one of the leading international trade shows for the beauty, perfume and personal care industries. 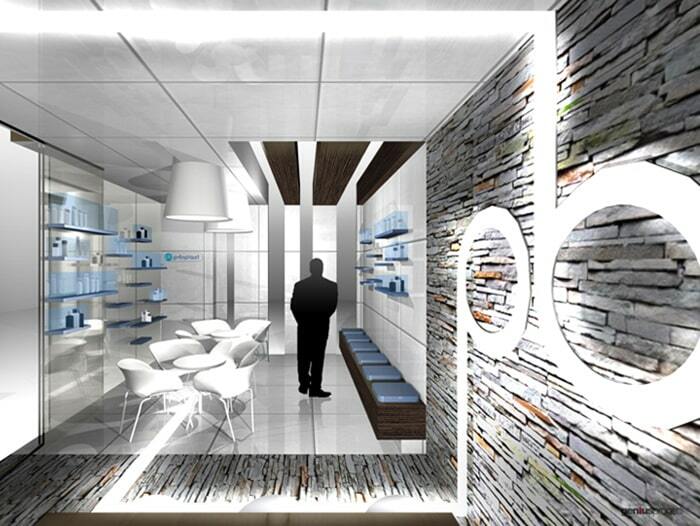 Held in Bologna, Italy Cosmoprof is comprised of three main areas; COSMOPACK, COSMO Hair&Nails&Beauty Salon and COSMO Perfumery&Cosmetics, dedicated to packaging, cosmetics, hair and nail care, frangrances and the wellness sector. 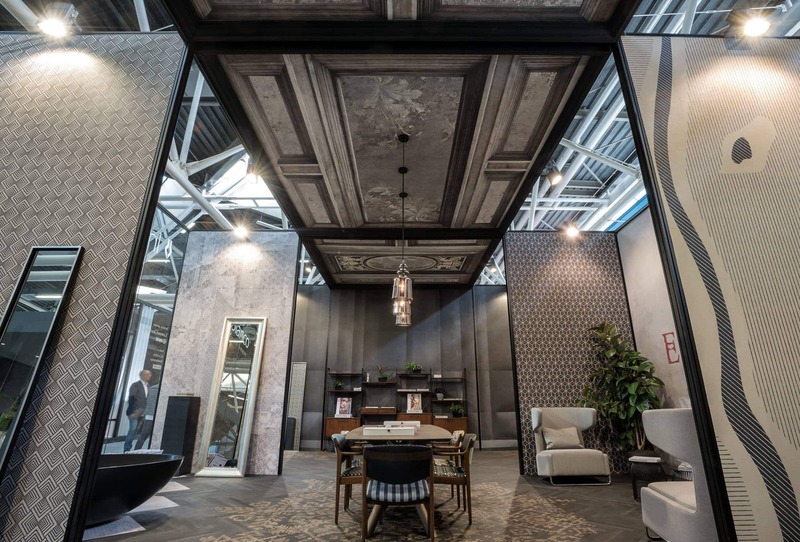 Each edition facilitates business opportunities for the over 2,800 exhibitors from 70 countries worldwide to engage with the 250,000 international visitors. 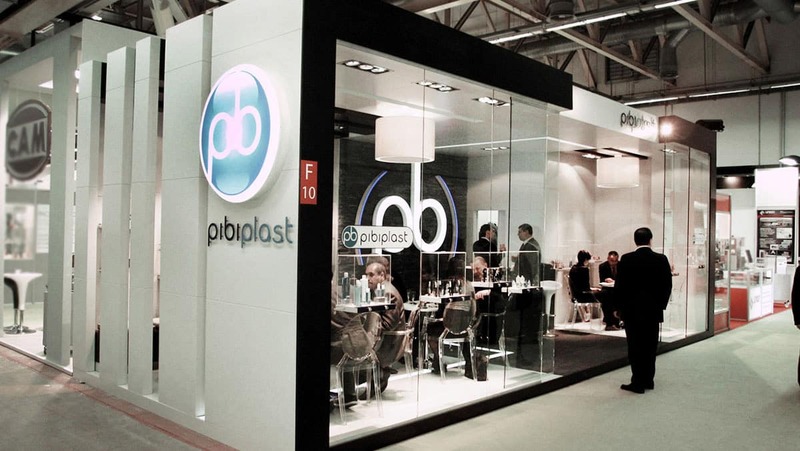 Pibiplast Group underwent an extensive change when the Group acquired 100% of Bomal, producers of makeup components such as mascara,lipgloss and eyeliners, greatly increasing their product range. 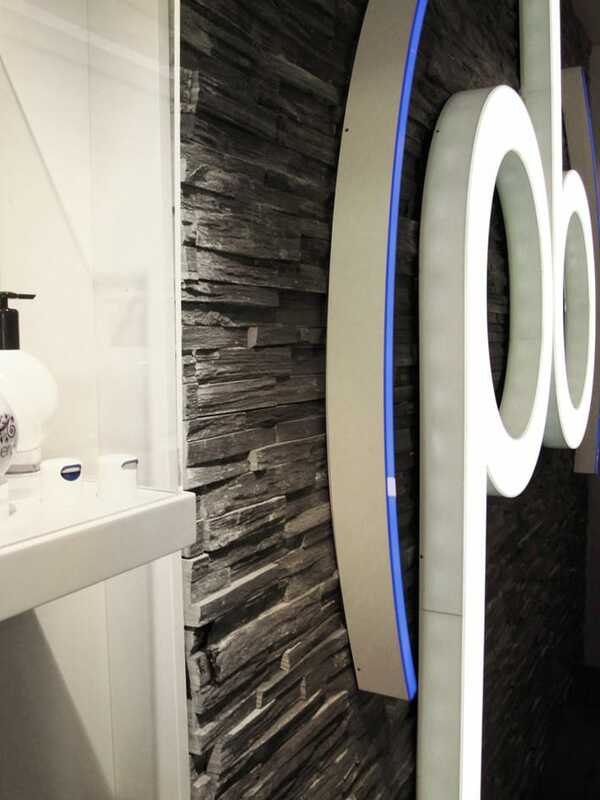 This exhibition stand was a representation of their new line of makeup packaging products, displayed in transparent, acrylic encasings with an urban brick wall created to separate the two distinct areas representing two different product lines. 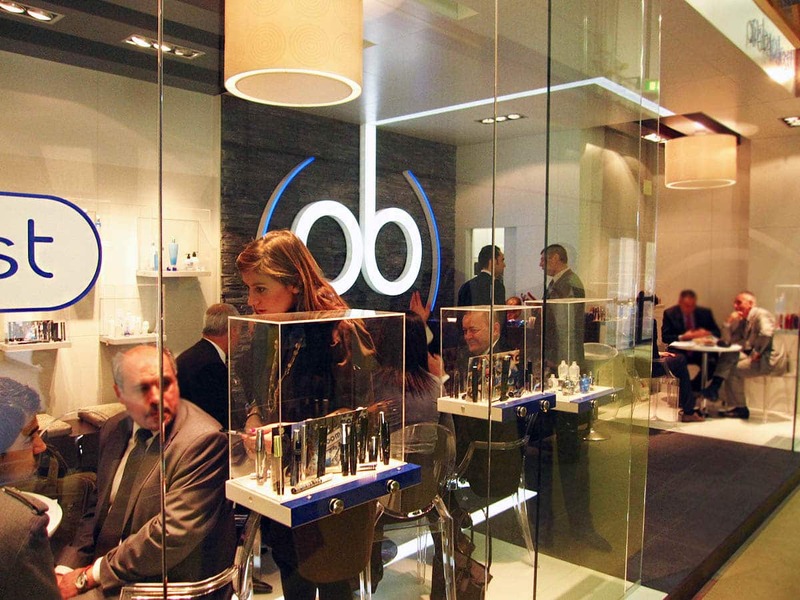 Meeting areas were created in each product area, along with a central reception were clients were able to book or wait for their appointment with sales reps. 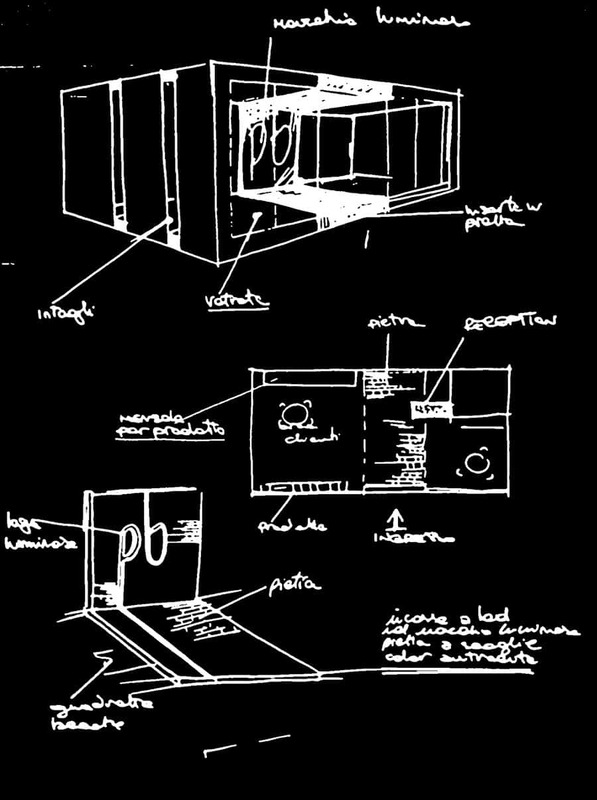 Although the space itself was not very large, the use of clear panels and diviers as well as the use of white furniture created a sense of space and roominess within the stand. 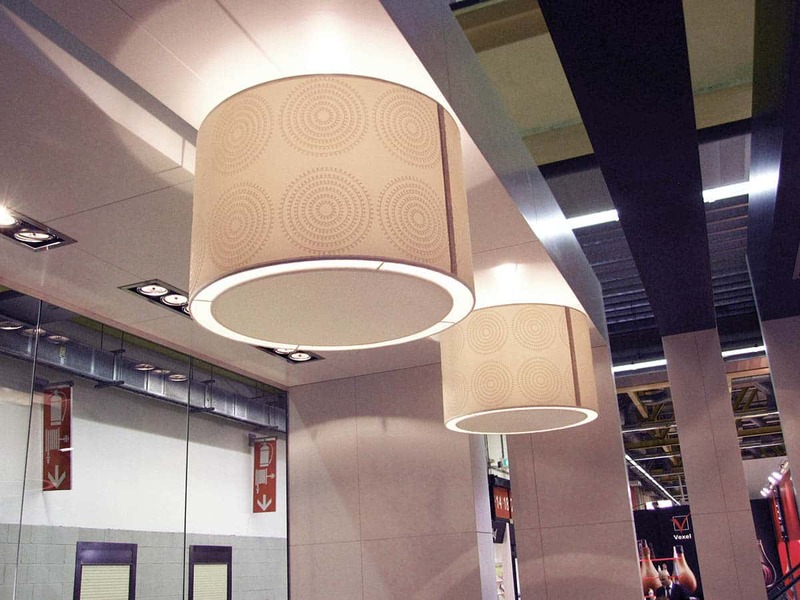 A custom light fixture that incorporated the logo into a wall/ceiling/floor motif gives this stand a dramatic addition.